Sometimes all you need is to catch up over a cup of coffee and a bit of cake, especially when the weather is dull and all you can do is watch the rain trickle down your windows. 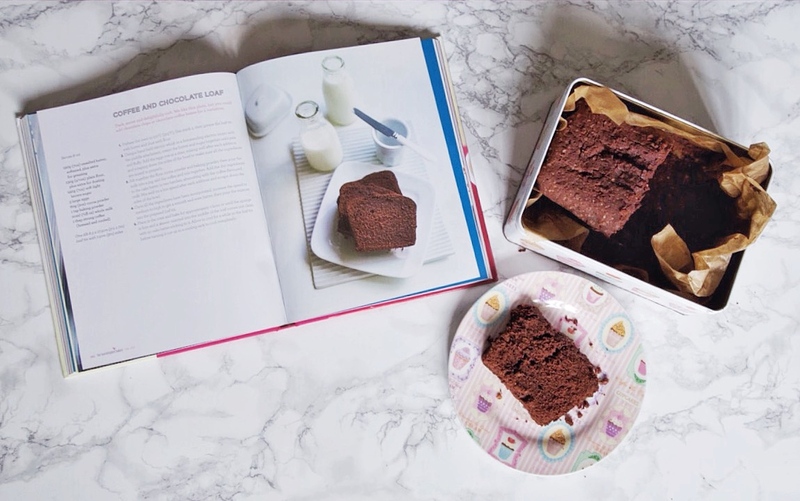 I've been craving chocolatey treats a lot recently so I decided to give a new bake a go and chose this Coffee and Chocolate loaf cake from the Rainy Days section of my Hummingbird Bakery Cake Days recipe book. I love to use this book for inspiration during the different seasons as it helps me to try new things throughout the year. For this recipe I pretty much just added the ingredients one by one, instead of following the typical American instructions of mixing the wet and dry ingredients separately, as this is a lot quicker, easier and saves on washing up, luckily for me the cake turned out just fine. Loaf cakes are some of my favourite to bake because they are always simple and require minimum effort and aren't as heavy going as an iced cake. Perfect to sit alongside a hot beverage on a grey day! Inspired by my loaf cake I thought I'd take this opportunity to have a little catch up with you guys too as it has been awhile! Hopefully you'll have noticed a few new posts have gone up on the blog recently after having several weeks off to work on my YouTube channel and go on holiday! Harry has been working some new shifts at work so we've put making videos on the back burner for a little while but we hope to get back to it soon as we've really loved making them and being part of the Disney YouTube community. I'm enjoying getting back into blogging again, I always find more inspiration during the summer months so I'm hoping to get a lot more content on here over the next few weeks too! Despite the return to blogging I've been completely absent from Twitter for months! Making time for blogging, promoting blog posts and social media in general is something I definitely need to work on and with trying to run a YouTube channel at the same time I think I'm going to have start organising my time better. It is so easy to get behind on everything but fingers crossed I get the hang of it soon!